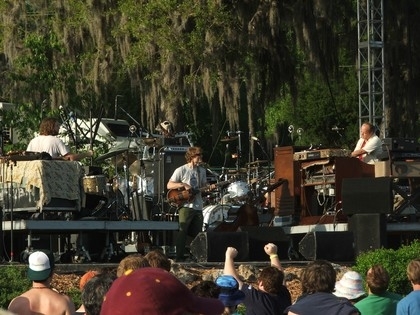 An hour long set at Wanee has a nice mix of tunes. Pappy Check is always full of energy, but that gets undermined a bit with Hanuman following. Egbe Mi O’s groove is not for the faint of heart and I was sad to see it eventually leave their repertoire. Shackman (aka After the Onsen) is a groove I always welcome — I was glad to see them record it as part of the 20 Singles. Solid versions of all these tunes for sure.